Keith will be performing as part of the National Male Voice Choir Association Annual Concert. The Annual Summer Concert featuring Keith as soloist and the Blidworth Welfare Brass Band a National Championship Band. With Big Screen Projection. 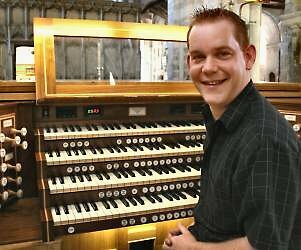 As part of the summer organ concert series on the fine 3 manual Rushworth & Dreaper Organ. As part of the popular regular lunchtime series on the newly refurbished in situ 3 manual pipe organ. Yet another return invitation to play as part of the ever popular Saturday Prm Series.